Through the Millennium Development Goals, the global community promised all children a quality education regardless of their gender, ethnicity and educational needs. Undoubtedly much progress has been achieved. For example, the number of pupils in school has increased by a third across Africa since 1999, but considerable challenges remain and will require attention in the policies and commitments developed for post 2015. However moving from policy rhetoric to practical reality is often the hardest step. For this we need to challenge much existing thinking around systems and practices, harnessing and combining the latest thinking and tools such as findings from cognitive science and mobile technologies. 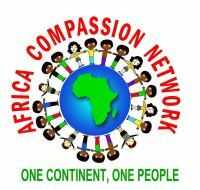 In spite of all the predicaments, Africa Compassion Network (ACN) recognizes two overarching challenges. Firstly, "ACCESS TO EDUCATION". Globally there are still 67 million children out of school, 43% of whom live in Africa. Many of these children live in conflict areas or ‘fragile’ states and many more live in rural areas. Every year 10 million children drop out of primary school in Sub Saharan Africa. There are a multitude of reasons to explain why these children are not in schools – lack of facilities, culture, the need to be in employment and so on, but sometimes simple measures can make a huge difference. A "Save the Children" initiative in South Sudan increased school attendance considerably by building permanent classrooms with sanitary facilities. Children understandably preferred this environment to learning ‘under the tree’. More such innovative solutions are needed for the provision of schooling to girls, the rural poor and those with special educational needs. Low cost private schools are frequently cited as one solution to address the needs of the poorest children but the empirical evidence of their efficacy is incomplete. Further investigations and experiments are needed. Our second observation, and no less important challenge, is "QUALITY". More children are attending school but are they learning? Sadly there is much evidence that large cohorts of children in class 2 and 3 in many countries are non-readers, unable to read correctly even a single word in a paragraph despite two or more years in school. This is unacceptable; without core reading skills these children’s chances of any form of academic success are extremely low. Quality education demands trained skilled educators (in nurseries, schools or universities) and resources – books, ICT equipment, Libraries and other artefacts. Across each sector there is a shortage of quality teachers. Two key contributing factors are lack of access to high quality training and the low status of the profession. But there are encouraging shifts in policy and innovative projects. In Kenya, the government has indicated a move to make teaching a graduate profession, and to stop primary teachers who become graduates moving to the secondary sector. This has huge potential to improve the status of primary teachers and for greater stability in school professional communities with implications for professional development and improved practices. ACN supports and has a pending initiative across Africa for early reading instruction in national languages in early grades; involving teachers, parents, carers and community tutors is a step in the right direction. Children’s ability to correctly identify letters will vastly improve in project schools. If this Project is implemented, sustained and extended there is much promise in this holistic localized approach. Akyaa Memorial Primary School renovation project is an initiative by Africa Compassion network (ACN) in association with the management board of Akyaa Memorial School. 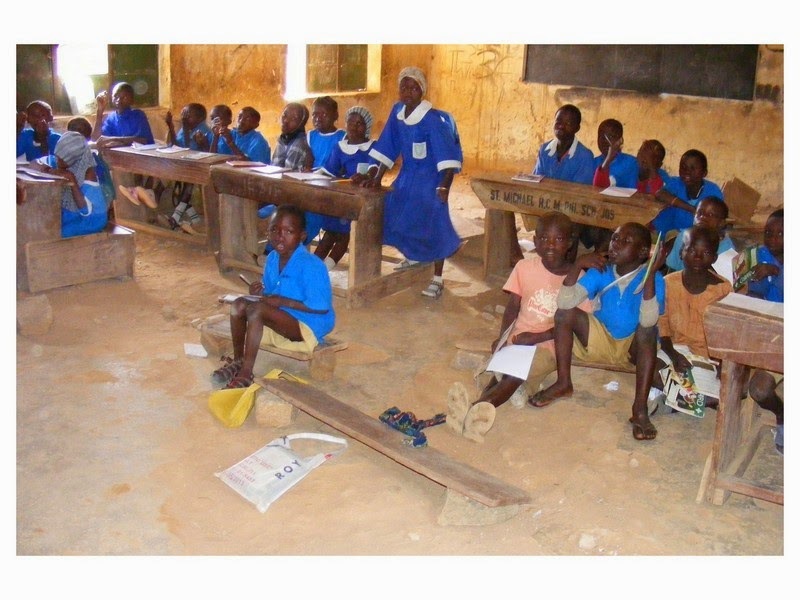 The purpose of this project by Africa Compassion Network is to assist the school in building four (4) classroom infrastructure, provision of classroom desks, computer Lab, library and learning materials as part of the "West Africa School renovation" projects. ACN’s main concern is the realization of sustainable development in which the children, teachers and the community are involved in positive activities that will ensure socio-economic welfare in the entire locality and ensure proper learning environment by providing habitable accommodation. It is also in a way assisting Government attain the Millenium goal agenda by providing Library and Computer lab facilities at the school. The vision of Africa Compassion Network is peaceful co-existence and development in which everyone participate equally and effectively in problem and solution identification and where local communities, governments and other developmental bodies facilitate and carry out skills transfer to the younger generation who are not fortunate enough to be afforded or even to go to school or career training. ACN has furthermore succeeded to hold two successful meetings with the School’s management board and community Heads to forge an understanding of our vision and goals. There is the need to involve everyone and have a buy in of the project. The local community and leadership have been very supportive and will do their part by protecting building materials and other items for the building process of the project. In order to realize its goals, Africa Compassion Network has agreed to assist in mobilizing funds and resources to build four class rooms to replace the ones which are currently in a dilapidated state and poses a life-threatening situation. Another objective of Africa Compassion Network is to create community capacity to provide education and advocacy for Child sexual Abuse and street children, and with a particular outreach to the most vulnerable in communities. Developments do not come to these remote parts of the country easily. 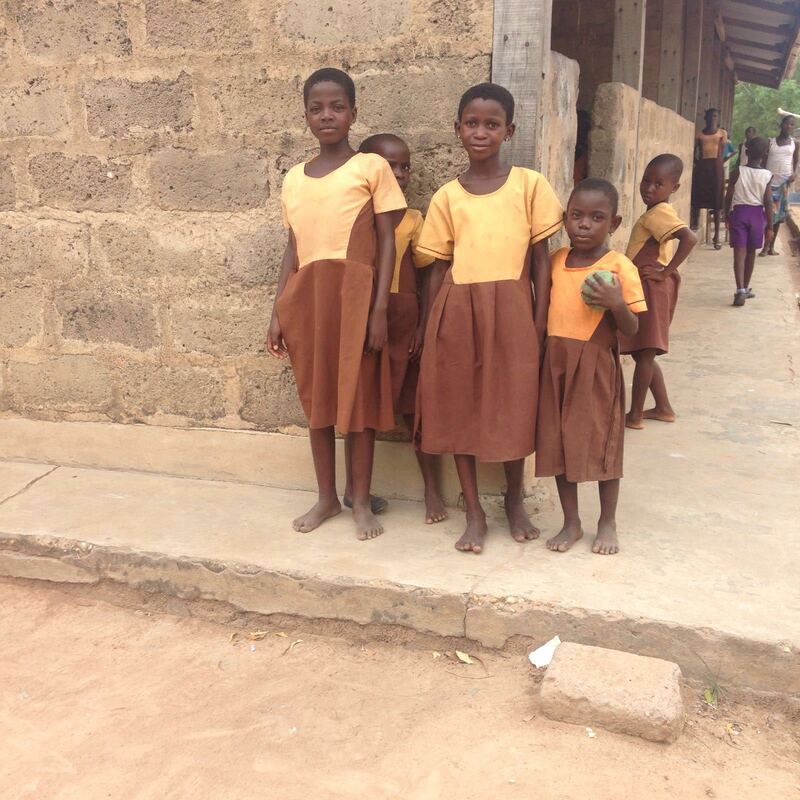 As an example since 2015 when the school was destroyed by the floods that swept the streets of Accra, the school has been using dilapidated classrooms, the school enrollment has since gone down from 300 students to about 250 currently. The major constraint for children and parents is that the most nearby primary schools are between the walking distances of 3 and 5 miles respectively. The school pass rate has been unsatisfactory due to various reasons. ACN has taken the initiative to change this situation and is now approaching organizations in order to improve the conditions for children who are joining primary schools in the nearby municipalities. Our strategy is to construct a BLOCK consisting four classes for the School in Ofankor for boys and girls respectively. Implementation will include construction, provision of teaching materials, such as text books for all subjects, and classroom furniture. There will be two phases of the project. In phase (1) of the project, ACN will construct 4 classrooms which will have one door and eight windows each and will be 27 metres long and six metres wide. The walls and the floor will be made from locally made concrete blocks; the doors and windows of wood and the roof will be coated Zinc sheets. There will also be the need to construct a toilet and washrooms. Once construction work is completed, classrooms will be fitted with chairs in phase two of the project to prepare the school to start operating learning and teaching activities in 2017. The classrooms will be used to teach the pupils in the morning and avoid hot sitting which inconveniences both school children and teachers. This project will also provide the community in appreciating the importance of sending their children to school. The school is located 110km from Accra Central and 3.5km from Achimota – Nsawam highway. There is a good gravel road linking it to the tarred main road, the problem is the economic problems bedeviling the community which has not been spared the scourge of teenage pregnancy. There are orphans learning at the school and there’s no sort of assistance from nowhere. The community which is predominantly peasantry and petty traders therefore finds it extremely difficult to pay the school levy per term. In essence, it means the little levies paid cannot sustain capital projects as even Government is failing to give infrastructure grants due to liquidity problems in the economy. Africa Compassion Network (ACN) has the required capacity necessary to design interventions and at the same time give impetus to the project’s management. The organization constantly plans before engaging in project activities and other interventions. We have a policy of non interference in the school administration and our role is to assist where possible. ACN has a rare unity of purpose amongst its members and the feeling of serving one’s Country/continent of birth bonds us further. This has in turn ensured solidarity and hence it’s stability. There is high potential that this achievement will be replicated in the community and Accra district as a whole. To construct four (4) classrooms, toilet/bath, library and computer lab for Akyaa Memorial school, a primary school in Accra, Ghana with a population of about 1,000 primary school going children in the community to provide quality education, good learning environment in six months. The project was proposed by a series of discussion with the local school’s management board and community, review of baseline data, and also minutes of ACN meetings. At the initial start of the school project, ACN will construct 4- class rooms, 1- toilets/bathrooms, library and a computer lab, and also equip the school gradually with teaching materials, such as text/reading books, exercise books and computers for the lab. Construction of 4 classrooms, toilet, bath, library and computer lab will start as soon as funds are availed. This will be followed by construction of storage tanks for rainwater collection. At the end of the project, the last act will be the buying of desks as Government will provide almost all the essential text books. Installation of a 5,000 litre borehole water collection plastic tank will be made available and purchase of computers and accessories, furnishing of Computer Lab and Library will be done to enable the school to start operating in the second budget of phase two of the project. The school will admit 200 students over four classes. ACN has engaged the expertise of local builders and other laborers to carry out the actual work. The material donated by the donors will be delivered at the school and will be well secured. The local project coordinator of ACN Ghana and her staff will prepare all the necessary reports including the financial reports and submit them to the Executive Committee of ACN New York head Office. Africa Compassion Network (ACN) will invite the donor representatives and members of the government to carry out their own independent evaluation after the completion of the project. Continuous monitoring of the project will be conducted by the ACN executive and representatives from donors or potential sponsor to ensure that the project achieves its goals and objectives as set out in this proposal. Quality education for 300 students delivered through creation of students friendly learning spaces; Improved standards of life among teaching staff at Akyaa Memorial school. Increased enrollments up to 500 students and enhancement of habitable classrooms. Executive director of Africa Compassion Network’s (ACN) head Office in New York will deliver both technical and financial reports each month to the funding agencies. This will include details of the class attendance by learners and teachers, lessons taught, materials purchased, challenges faced, achievements realized, money spent and the community support. Project Beneficiaries. The school facilities aim to give services to 300 primary school students from Achimota and surrounding municipalities such as Taifa, Ofankor, Seven Days, Asofah, Tantra hills, Pokuase etc. A variety of formal and informal Monitoring and Evaluation mechanisms will be central to ensuring the appropriate delivery of effective and sustainable services. These will include: Multi Indicator Cluster Surveys, class performance surveys, class attendance data, girl-boy retention data and exit surveys. ACN will continue to work with the local Council and Ministry of education on this capacity while also working closely with local NGOs working on education programms in the area. ACN will develop a Memorandum of Understanding with the management board of the school which will clarify each partners’ roles and responsibilities both short and long term to ensuring the maintenance of the facilities is imminent. The Ministry of education will be encouraged to provide basic items needed for the facilities. In this way sustainable structures for Akyaa memorial school delivery will be developed in the Ofankor municipality. Parents Teachers Association (PTA) will be formed to ensure the school’s future sustainability. ACN’s annual sustainability assessment will be used to review the capacity of both local communities and school to take on further aspects of supporting the school after the donor phase. ACN will continue to provide its technical support and facilitation.